The Hudson Valley’s source for the best presentation technology. 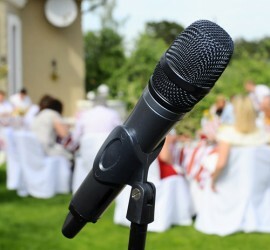 We can handle everything from small in-house meetings to major corporate events. Are you planning an event? Hudson Valley Audio Visual is the right choice from content preparation to visual design. We have the equipment and experience to ensure your event is perfect! Do you need equipment installed? Let us design and install the perfect system for you. 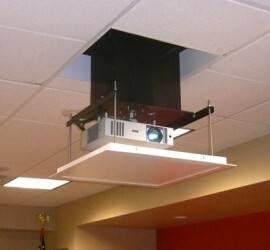 We specialize in mounted projectors, overhead sound systems, video conferencing, and much more! Do you need to rent equipment? 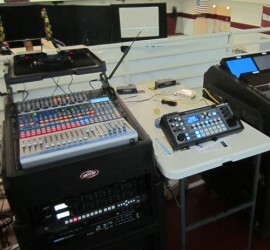 HVAV has you covered for any audio/visual rental need. We have the latest technology and expertise to help your organization utilize these tools effectively. Our expert design team installs the state of the art equipment in offices, schools, retail establishments, and government buildings. We specialize in video conferencing, computer and video projection systems, sound systems and plasma panels. 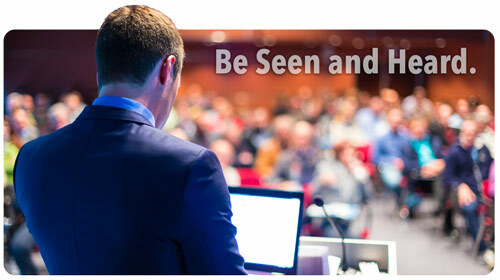 HVAV provides solutions for your organization’s presentation needs. Serving Westchester County, the Mid Hudson Valley and Capital District Region, Hudson Valley Audio Visual offers a variety of services to ensure you look and sound your best at your facility and on the road. Our vast inventory of state of the art equipment can handle anything from a small in house meeting to a major corporate event at a large venue, and everything in between Our experienced team will make sure your message is seen and heard, and that your organization looks its best! The Hudson Valley’s source for the best presentation technology. Call 845-797-7000 Today! Call 845-797-7000 or Let Us Contact You! Copyright © 2015 Hudson Valley Audio Visual.